Offering a convenient and flexible place to store documents, papers and stationery, this oak-finish mobile pedestal fits under your desk, or can be used independently to suit your needs. 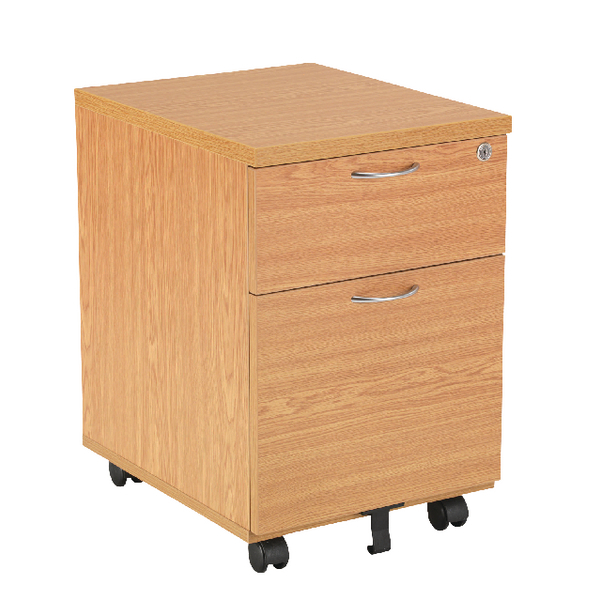 The pedestal features 1 box drawer and 1 filing drawer suitable for foolscap suspension filing. This pedestal measures W434xD580xH595mm and is mobile on castors.